What is it like to be a Naturopathic Doctor (ND)? This is a popular question that I get asked frequently mostly by people looking to pursue a career in alternative medicine. Amidst an overwhelming amount of frustration with the current healthcare system, naturopathic medicine is leading the way in helping transform the way physicians practice. Patients are intrigued by what naturopathic medicine has to offer and more people are interested in turning it into a career. Because the journey to becoming a physician is not for the faint of heart, I wanted to dedicate some time to explain what it takes to become a naturopathic physician and provide an example of what a day in the office can look like. Please note that how I practice and run my clinic may be different from another physician’s, and that this is simply my way of providing you with an example. As more and more programs become available under the natural medicine umbrella, one of the most important things to know is that naturopathic physicians receive their medical training from an accredited university. This is not an online program or a six month certification. To become a naturopathic physician, you have to complete a four to five year doctorate program followed by a one to three year residency for those who want to further solidify their skills in an area on interest. Naturopathic physicians can also choose an area in medicine that they want to specialize in. Some physicians will pursue a specialty in oncology, while others like myself, become naturopathic endocrinologists specializing in hormone imbalances. Unlike in conventional medicine, just because a naturopathic doctor chooses a specialty, doesn’t mean that’s all they do. For example, if someone comes to me with a hormone imbalance and they have gut issues, I will work with the patient to address both issues as all systems in the body are interconnected. 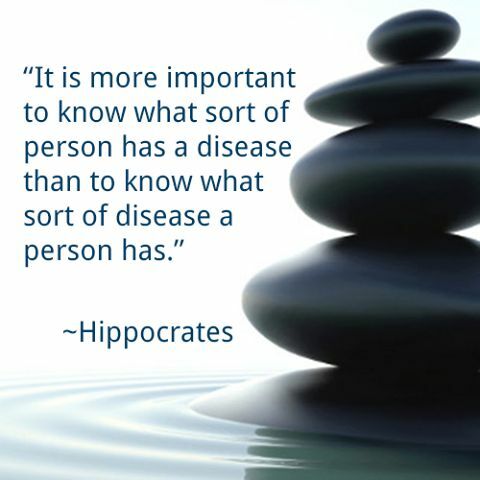 One of the major principles in naturopathic medicine is “Treat The Whole Person.” That’s right, not just the symptoms. Being a naturopathic physician is very fulfilling and challenging. Everyday, I see cases varying from autoimmune to menopause and everything in between. Most patients come to my office after they’ve been to numerous other providers and specialists, and have tried many different treatments with minimal or no improvement to their symptoms. Some people come to see naturopathic physicians for disease prevention purposes and to get a baseline for their health so that they know what to improve and how to maintain optimal health. The majority of the time, naturopathic physicians are like health detectives working with patients to uncover the root cause of their symptoms and utilize a diverse skill set to help the patients get back on track. 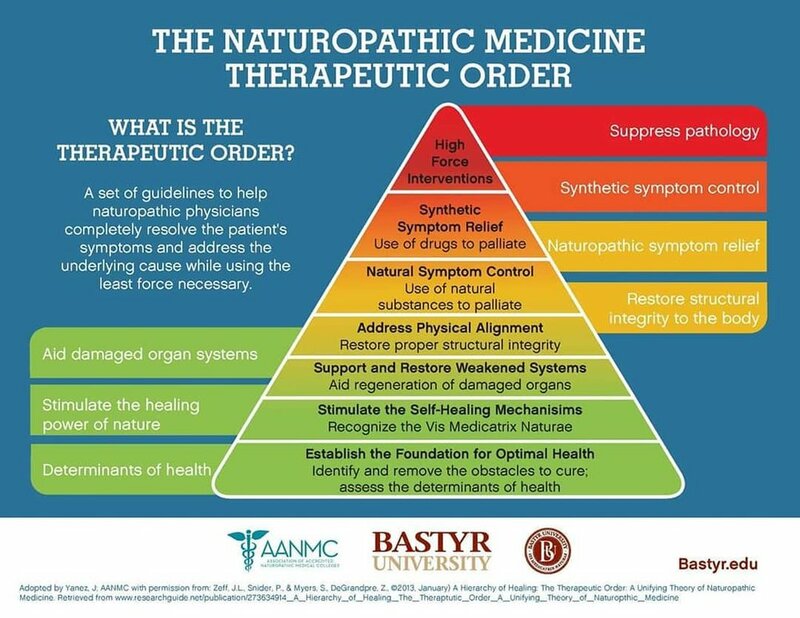 The most fascinating thing about naturopathic medicine is the variety of modalities we can use to optimize health. We can utilize physical medicine, herbal medicine, compounded medication such as bioidentical hormone therapy, minor surgery, aesthetic procedures, IV therapy and micronutrient injectables, homeopathy, nutrition and many other treatments. The scope of work and prescription of pharmaceutical agents as well as treatment using some of the modalities I mentioned varies between states, but in states like WA, OR, CA, AZ and CO the scope is fairly broad. Naturopathic physicians are working toward increasing their scope of practice in all states as this form of medicine is much needed given the current health care system. Because I practice in WA, I am able to treat various conditions using a combination of natural and traditional treatments as necessary. For example, if a woman comes in with menopause symptoms that are effecting her quality of life, I will work on the nutrition piece first to make sure she’s eating foods to optimize hormone health, I run all of the necessary lab tests to better understand current hormone levels including stress hormone cortisol, and then I prescribe a treatment plan that will include a combination of herbal supplements known to improve hormone balance, medical grade nutrient supplements, lifestyle & nutrition recommendations and lastly bio identical hormone therapy as needed if symptoms and quality of life don’t improve with a more natural approach. A typical day for me in office includes patient prep which entails looking over labs, notes from other providers and identifying goals for today’s visit. I talk to pharmacies and pharmacists daily as I do work with many compounding and regular pharmacies. I rarely prescribe pharmaceutical agents, unless needed. I prescribe a lot of bio identical hormones, but do very conservative dosing and patients have access to me at all times to make sure we change things sooner than later. I pride myself on being available for questions, and I spend quiet a bit of time daily answering emails and questions from current and potential patients to make sure we make a good fit. One of the things that makes my practice more enjoyable and actually makes for a better patient experience is that I don’t work with insurance directly. This allows me to have a patient centered approach, improves service quality and overall patient experience as I am not focused on meeting insurance agenda. I still provide my patients with superbills which are statements that include visit and procedure codes that people can submit to their insurance company for reimbursement. This model works in my practice as quality of service and patient experience are my priorities, and most of my clients have already been to multiple providers and have not had much success with doctors who accept insurance. I always spent a lot of time with my patients educating them about insurance, reimbursements and different treatments that are available to them. 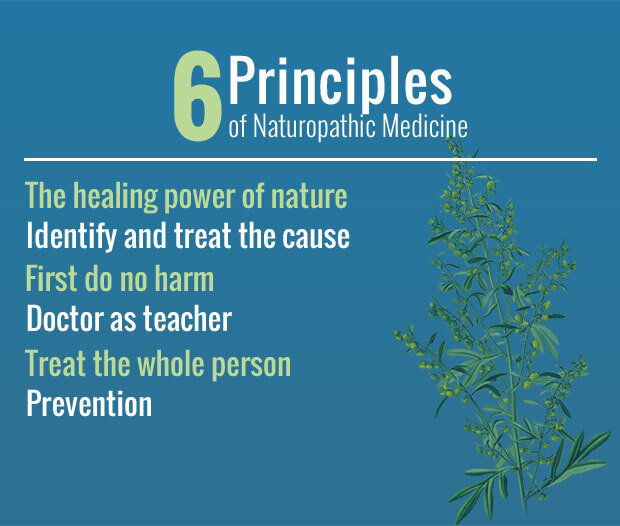 One of the other major principles of naturopathic medicine is “Doctor As Teacher.” As a physician it is important to not just chase to root cause or symptoms, but also provide patients with tools and resources that can help them understand their bodies better and make decisions that are right for them. I always take the time to draw diagrams and pictures to show how different systems are interconnected to help patients see the big picture. In a typical day, when I am not seeing patients or in between patients, I write, publish and take the time to educate the public about different conditions and how to treat them naturally. I also emphasize the importance of having foundations of health in place such as nutrition, lifestyle and exercise without which health cannot happen. Being involved in the community is one of the best ways to share the knowledge of medicine. Choosing to be a naturopathic physician requires commitment and sacrifice as medical degrees are some of the most involved and difficult. Practicing naturopathic medicine is a true gift that you can share with people and help others get the most out of their lives. There are politics, insurance and pharmaceutical companies to overcome, but that is all manageable when you are passionate about the cause. Dr. Elena specializes in gut health, women’s health, weight loss, nutrient injectables, and offers unique chronic pain treatments at Proactive Health, A Naturopathic Clinic. She's the author of Crave Reset and founder of Crave Reset: Ultimate Craving Control, nutritional support for food cravings, mood, weight management, and hormone balance.